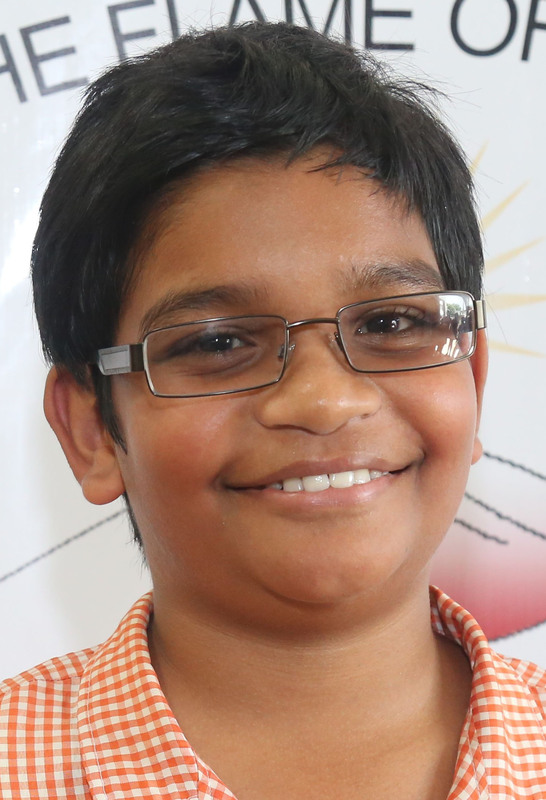 With 568 marks each, two boys, Anthony Ferreira, of Mae’s Under 12, and Aryan Singh, of the Dharmic Rama Krishna Primary, have tied as the top performers in this year’s National Grade Six Assessment. 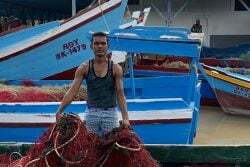 An excited Ferreira told Stabroek News that he was overjoyed to be one of this year’s top performers. 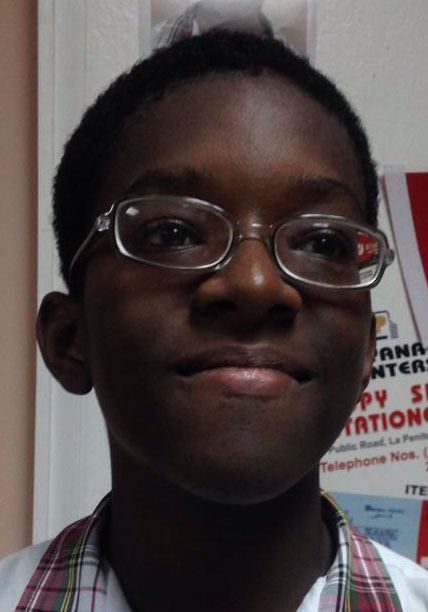 Though he expected to do well, he did not expect to be one of the best performing students and has expressed gratitude to his parents and teachers who worked with him throughout the years. “I am excited and I know I need to keep focused to achieve my goals. Today, I want to thank my parents and teachers and especially God, who was always with me. I also want to really thank my Math teacher, Sir Kareem Trotman, who went out of his way to make the subject interesting. 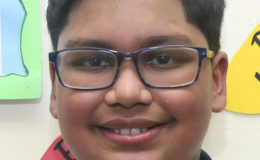 I feel that Math is my best subject because he was very funny and did his best to make sure we would do well,” Ferreira, a budding technological engineer, said. 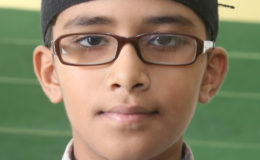 Singh, who scored the highest marks in the subjects of Mathematics and Social Studies, was also shocked that he emerged as one of this year’s best performers. 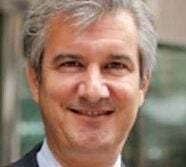 He hopes to use his love of Mathematics to build a career as a financier that, in time, will enable him to be head of the World Bank. “I never expected to be on top. I expected to do well and I am really happy that I did but I expected the competition to be better. I found the examination to be very tricky; the Math especially was very interesting and I enjoyed it. 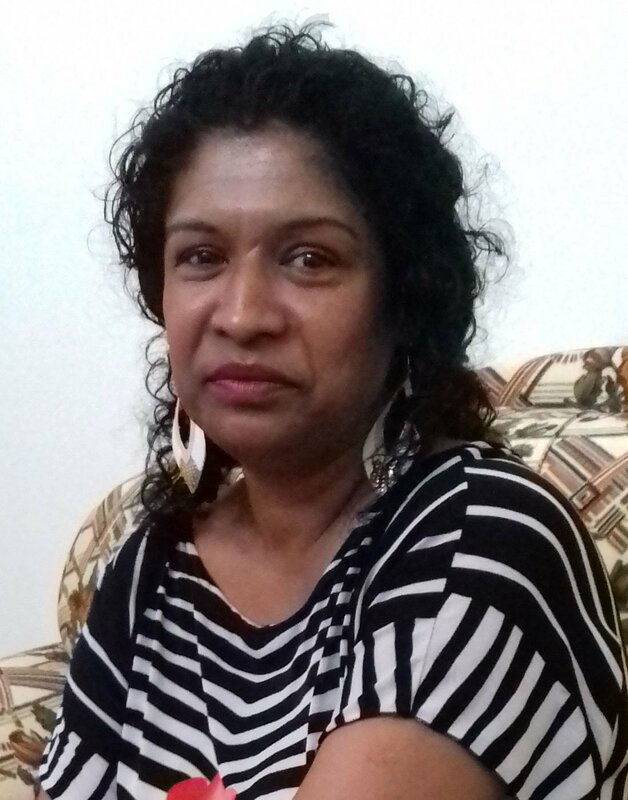 I want to thank my teachers, especially Miss Padminee Jewan, and I want to thank my mother for making me study when I wanted to play,” he told Stabroek News. 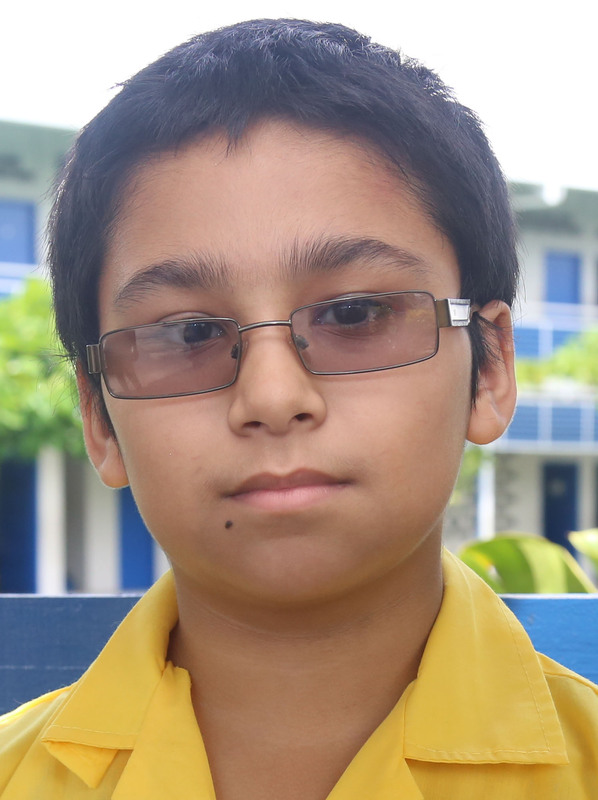 Placing third in the country with 565 marks was 11-year-old Sarena Razak, of Graham’s Hall Primary School, on the East Coast of Demerara. 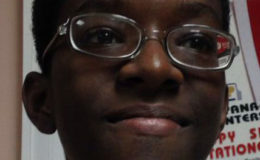 Razak related that while she had expectations of placing in the top 100, she was surprised to know she copped the third place position nationally. 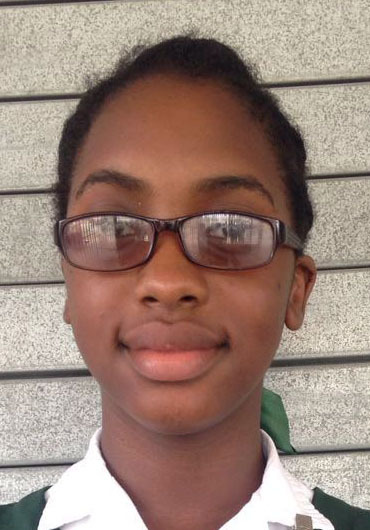 She was sure that her current success could not have happened without the help and support she received from both her parents and teachers at the Graham’s Hall Primary School. 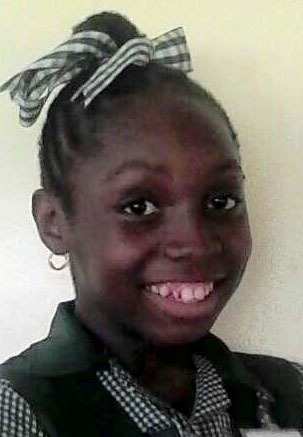 Razak was closely followed by Chelsea Barnes, of Success Elementary, who came in at fourth place with 563 marks. 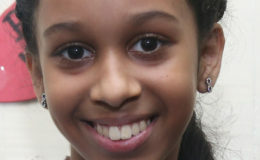 Barnes noted that although she is pleased with her results, she cannot help but feel sad at leaving Primary School. 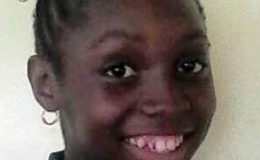 Barnes stated that she hopes to one day become a General Surgeon. In fifth place, with 526 marks, is Arun Sooknarine, also of the Dharmic Rama Krishna. 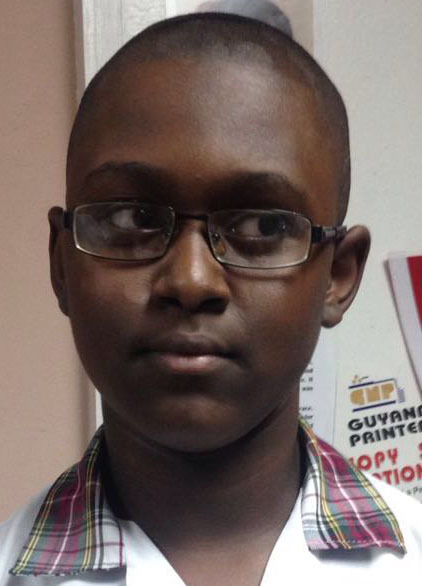 Sooknarine told Stabroek News that he was both overwhelmed and happy by his results. 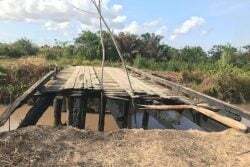 Though he found the examinations overall to be tough, he enjoyed sitting the Mathematics exams, as it is his favourite subject. 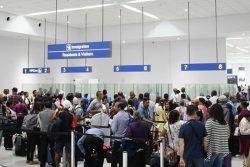 “I want to thank God, my parents and teachers for encouraging me,” he said, while adding that he intends to pursue studies in the field of Aeronautical Engineering. 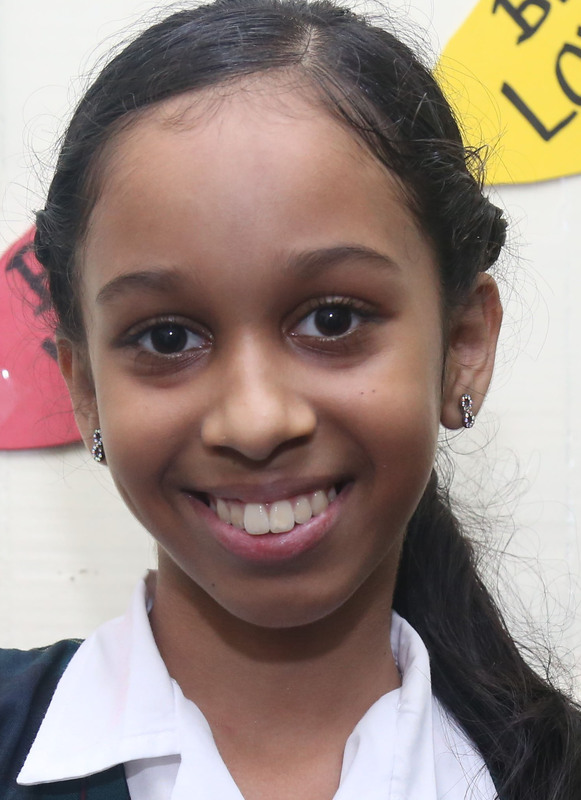 Helia Agard, also of Success Elementary, made it into the top ten by securing the sixth position with 561 marks. 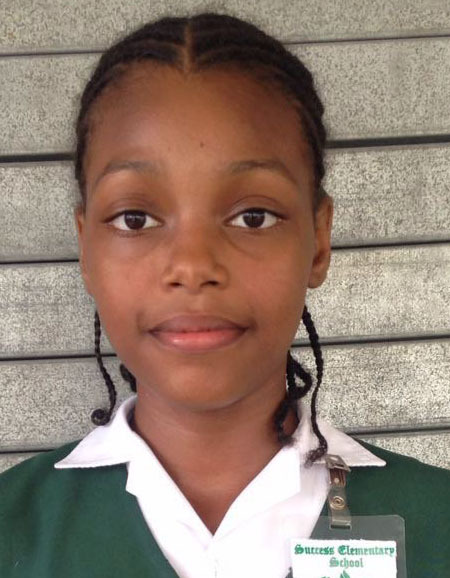 Agard, who aspires to one day be a parliamentarian, was proud of her results. 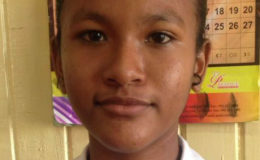 Five students share the seventh place, having each earned 560 marks. 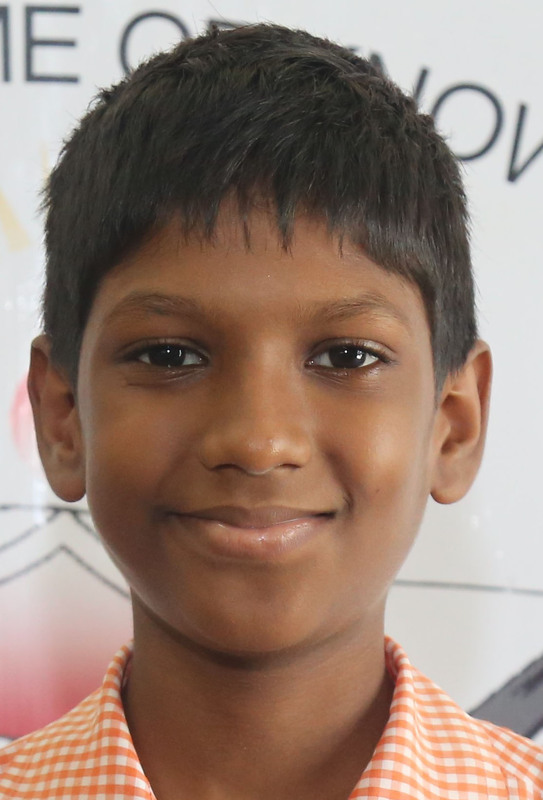 They are: Indie Rampersaud and Justin Seecharran, of Success Elementary; Jonathan Ganga, of Leonora Primary; Divya Nandalall, of Mae’s Under 12 and Lemuel Assing, of the New Guyana School. 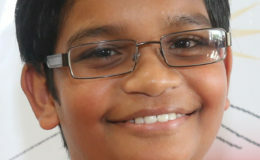 Like their classmates, Rampersaud and Seecharan expressed profound happiness at their results and looked forward to attending Queen’s College in the new academic year. 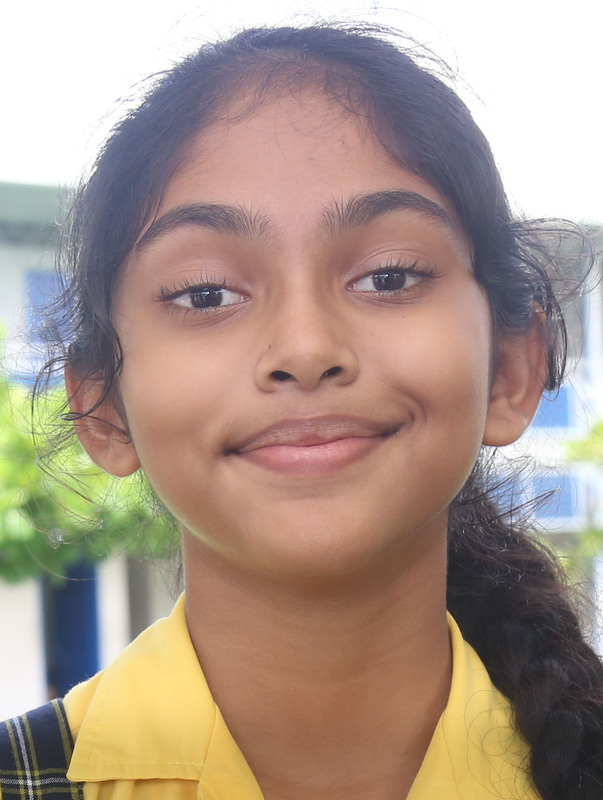 Seecharran disclosed that he will be working towards becoming a physicist, while Rampersaud noted that she would like to pursue studies in the field of law. 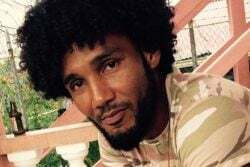 Speaking with Stabroek News from his home, Ganga appeared quite calm even as his relatives were beaming with joy at the good news that he had topped Region Three and placed seventh in the country. He too told this newspaper that he was “excited” when he heard his results and although he expected to do well, he was still surprised. 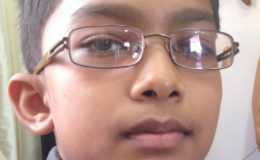 He said he studied from 5 pm up to 10.30 pm and gave up television and video games about one month before exams. 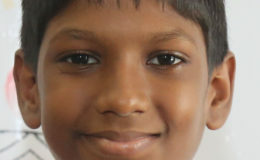 He credited his achievement to God, his teachers and family members. 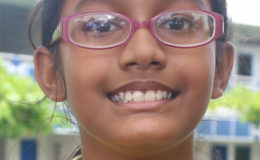 Nandalall was very excited about her results. 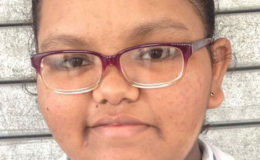 While she is not sure exactly what career path she will pursue, she believes it will be in the area of Science, which is a subject area she has always enjoyed. “I want to thank my friends, my teachers and family members. 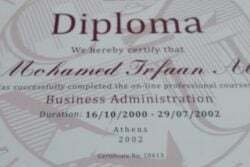 I especially want to thank Sir Kareem Trotman, who always had the confidence that I could do well. I also want to thank Teacher Penny and Teacher Meagan, who were also confident in my abilities. And, of course, I would like to thank God,” she said. 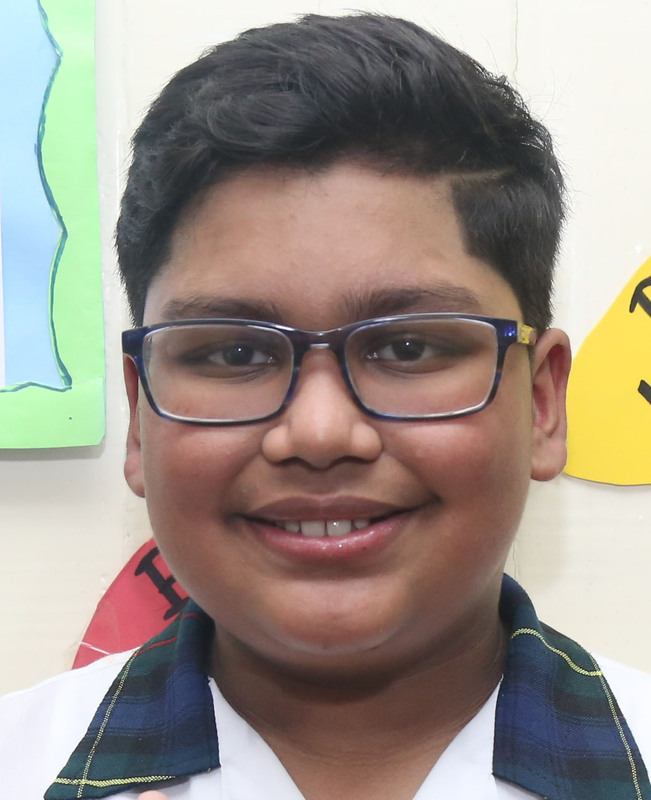 Meanwhile, at the New Guyana School, Assing told Stabroek News that his success came as a result of his hard work and dedication. He noted that his results came as no surprise to him since everyone expected him to do well. Nevertheless, he thanked his parents and the teachers at the school for positively influencing him. 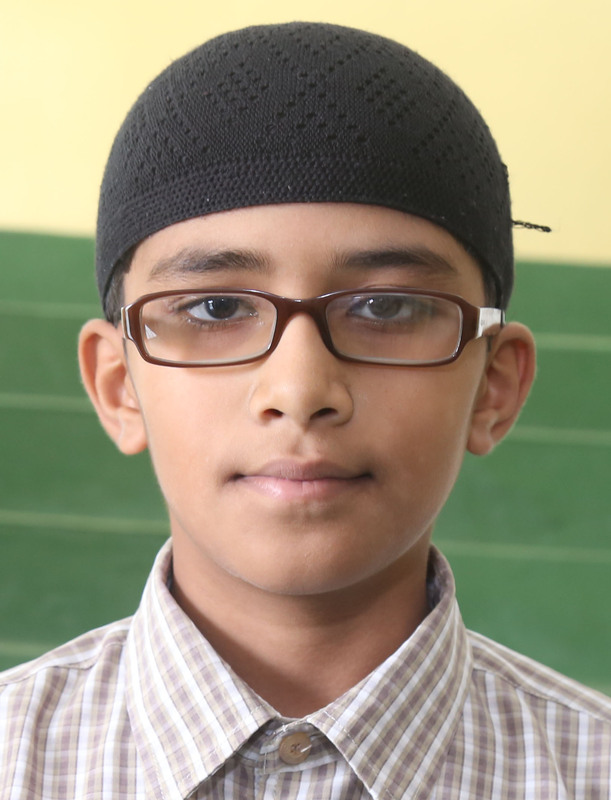 The twelfth position was shared by Saalih Rahim, of the ISA Islamic School, Muhammad Hassad of the Al Ghazali Islamic Academy, and Annandi Diaram, of the Valmiki Vidyalaya School. 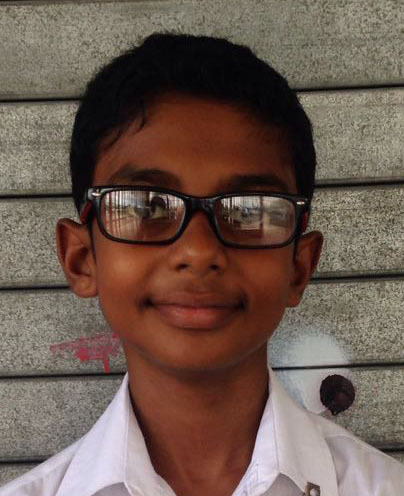 Rahim told Stabroek News that he was very happy with his results. “First I want to thank my creator, Allah, who has made this possible; without him nothing is possible. 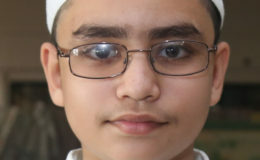 I also want thank my parents, especially my mother, who made me confident, and I want to thank all my teachers at ISA who have taught me much over the years,” he said, while adding that God willing it is his intention to stay at ISA and continue studying, with Islamic studies as his main focus, though he does not mind furthering his academic studies. 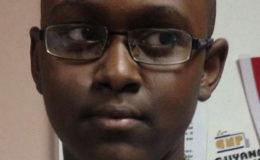 Hassad, meanwhile, told Stabroek News that based on the effort he put into preparing for the examination, he expected good results though he found the examinations to be difficult. 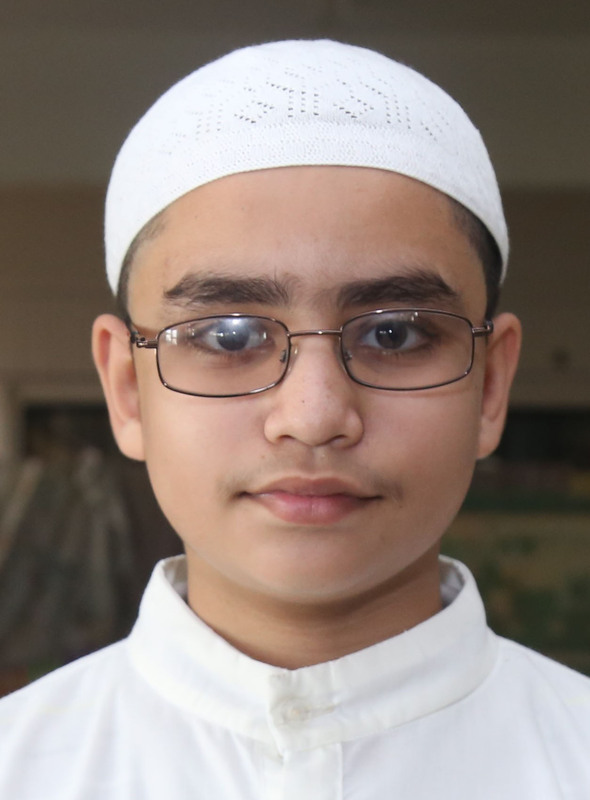 Hassad, who is one of three students who secured the highest mark in Science, has expressed a desire to further his studies in this area and in time become a medical doctor. 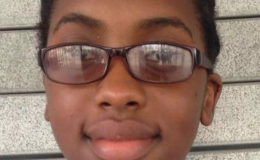 “I am excited and happy that I was able to top my school. I want to thank my creator, Allah, first, for responding to my prayers. I wasn’t here for the first four years; I came into the School in Grade 5 and my teachers and my mom worked hard with me for long hours. 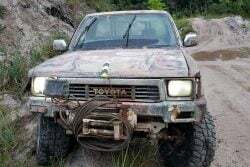 I want to thank everyone because everyone helped me,” he said. 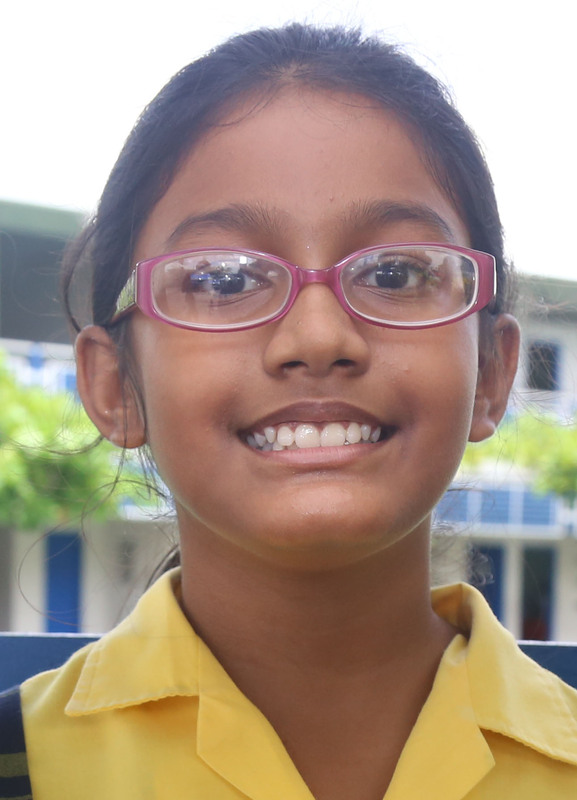 Sharing the fifteenth position with 558 marks each were Aletha Joseph, of the Montrose Primary, and Jordon Nelson, of the New Guyana School. 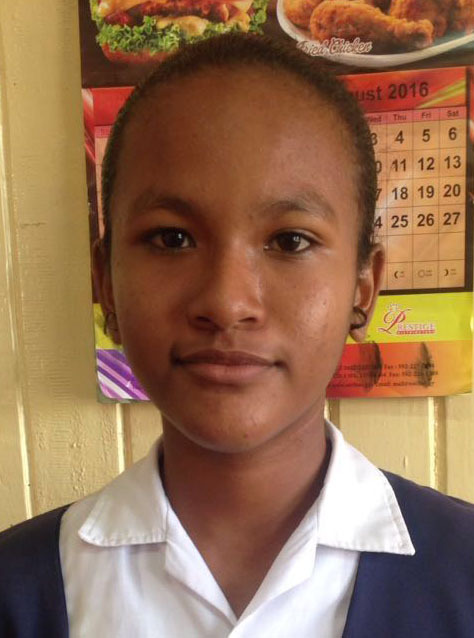 Joseph told Stabroek News that she while she is excited with her results, she was not surprised by it since she worked towards achieving that goal. When asked about her future aspirations, Joseph related that she is still to decide. 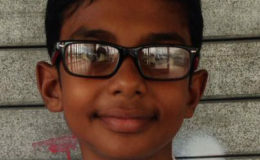 Nelson, an aspiring Theoretical Physicist/Doctor, related that when he found out his results, he was shocked since he was not confident in his performance in English Language. 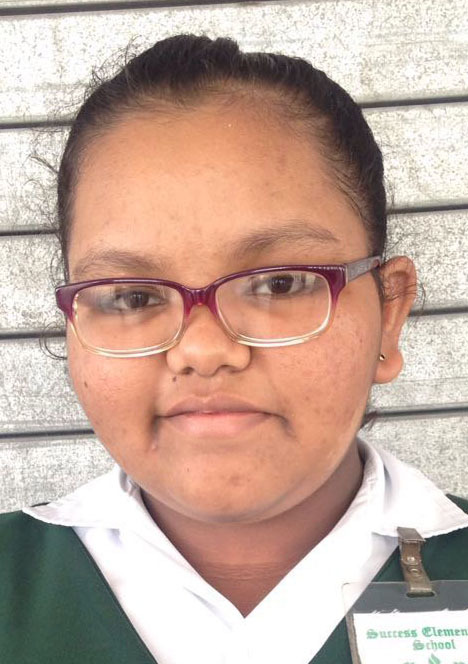 Ironically, Stabroek News was made to understand that Nelson was listed as one of the students who secured the highest grade in that subject area. 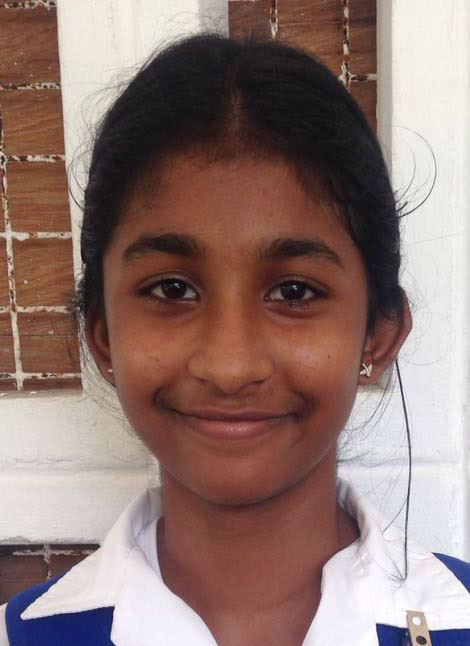 Classmates Anjali Maharaj and Racheal Ramlall, of Marian Academy, share the seventeenth position with 557 marks. 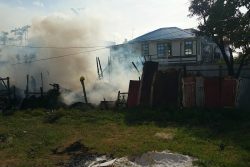 They told Stabroek News that they are excited about their results although they both had to be convinced before they would celebrate. 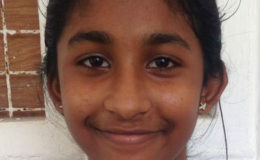 Maharaj, who found the exams to be just the right kind of challenging, expressed gratitude to all her teachers. “I want to thank Ms. Perreira for being there for me and Sister Marie for always having my back. 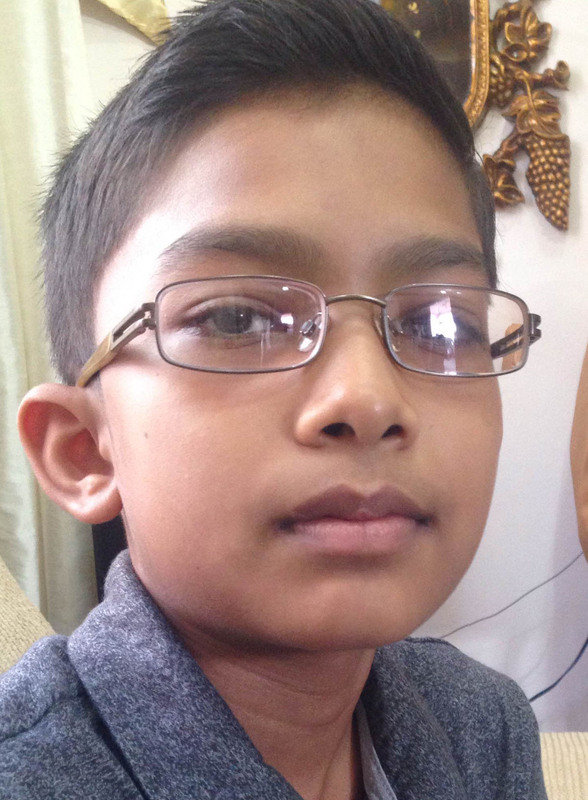 I would also like to thank my teacher outside of school, sir Arif Alli, who was very helpful,” she said. Both she and Ramlall had no definite plans career-wise and preferred to let their interest develop after more exposure. 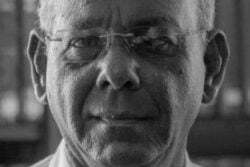 Ramlall, however, already has an interest in English. She also thanked her teachers. 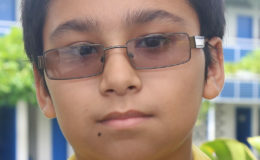 They were followed by their classmate, Rajiv Lee, and three other students, who placed nineteenth with 556 marks. The other three students are Riley Nurse and Joel Singh, of Mae’s Under 12, and Breanne Boucher, of Genesis Early Childhood Education Centre. 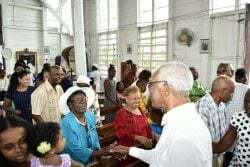 Lee told Stabroek News that he didn’t expect to do well and was excited at his results, for which he expressed gratitude to God, his parents and teachers. Though he has no plans right now, he mainly enjoys studying Science. Also excited were Nurse and Singh. 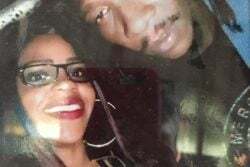 Nurse, who hopes to become a pediatrician, expressed gratitude to her teachers and parents who believed in her even when she doubted herself. 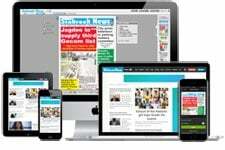 Singh also expressed gratitude to his teachers and parents. 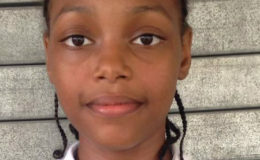 Boucher, of the Genesis Early Childhood Education Centre, which is a private school at La Grange, West Coast Demerara, was “elated and happy” when she got the news that she had placed among the top 20 in the country. 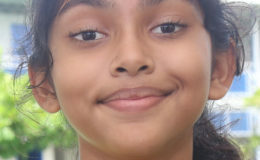 She was surprised to learn about her performance and admitted to now realising that her parents did her a favour by preventing her from watching television and using her electronic tablet “a while before exams.” She was thankful to God for guiding her and to her teachers for their support. With her good performance, she has followed in the footsteps of her brother, Jeron Boucher, who in 2014 was the top student of Region Three.